Attractive decor? Maybe. Mystical healing? Not so much. 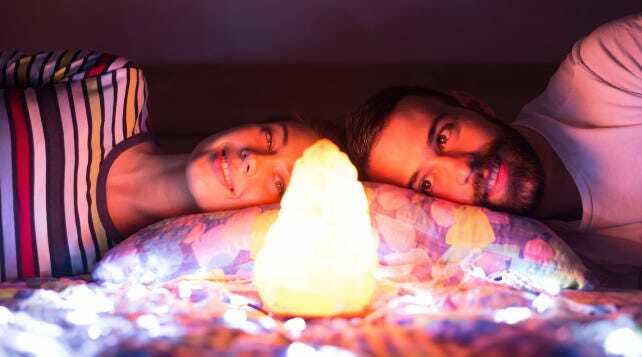 Himalayan salt lamps are massively popular decorative blocks of pink salt with a light bulb fit inside. They can be found for sale in a whole slew of places from the American Museum of Natural History gift shop to Gwyneth Paltrow’s pseudoscience mecca Goop. Frankly, they’re everywhere. 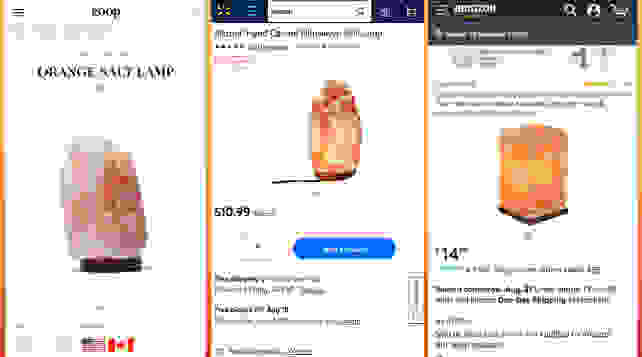 Himalayan salt lamps are widely available at a variety of retailers, from specialty shops to giants like Amazon and Walmart, and usually make sizeable health claims. Which is why it’s so concerning that manufacturers and “health experts” are make a slew of claims about the benefits of these devices beyond simple lighting. They say they’re pure and environmentally friendly. You’ll hear that they release negative ions, which they say detoxify your lungs and respiratory system when you breathe them, clean the air around your house, and even neutralize electromagnetic radiation. And, ok, sure, they’re pretty. But when you break down these claims with some scientific rigor, only one fact remains: they're... well... they’re very pretty. Now that that’s out of the way, we can take out all the rest of the claims in one fell swoop. That’s because snake oil peddlers would have you believe that heating a brick of pink salt with a light bulb will cause the salt to release negative ions into the air. Without getting too technical, ions are atoms or molecules that have a positive or negative electrical charge. You interact with these types of atoms all the time—static electricity, for example. Salt lamps don’t release ions. Salt lamp purveyors claim that breathing in these negative ions produces all sorts of miraculous benefits, like detoxifying your nasal passages. While there is some science around the ability of negative ions to produce antidepressant effects at very high exposure levels, that doesn’t apply to these lamps. Because salt lamps don’t release ions. Air purifiers and simple saline nasal sprays: two things that actually do what Himalayan salt lamps only claim to do. Getting salt to release negative ions requires heat—A LOT of heat. In fact, says Nyman, the temperature required is 2600 degrees Fahrenheit. Chemists studying salt do this sort of thing all the time, but they use a very specialized laser called a femtosecond laser (the same one that doctors use for cataract surgeries). A run-of-the-mill, everyday light bulb isn’t going to come close to doing the trick. In fact, she says, even burning the salt wouldn’t achieve the desired ion release, as fire changes the chemistry completely and doesn’t release negative ions. As for the lamp’s ability to clean the air, Nayman says that might be possible. Salt attracts water. Contaminants in the air like to stick to water. So the lamp could theoretically collect some floating particles as water deposits on it. However, the lamp would need a pretty big surface area to pull this off. The only way to do that would be to fill it with a gazillion tiny holes. 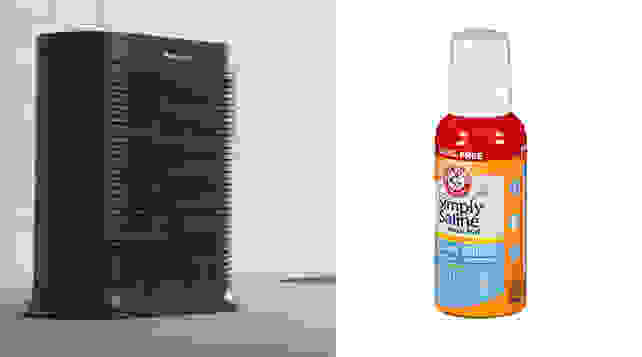 So in order to really become an air purifier the lamp should look more like swiss cheese when you put in it under a microscope. As to whether or not salt mines environmentally friendly, any ecologist will tell you that a mining operation, no matter how “sustainable” it claims to be, will disrupt the local ecosystem. Some operations are better than others (the salt lamp manufacturers claim they’re mining sustainably by hand, but the work is done by the Pakistan Mineral Development Corporation, which also mines coal in other regions of the country). And if you really want to get down to the nitty gritty, there’s the question of how much carbon it takes to ship the lamps from Pakistan to lamp manufacturers and consumers around the world. The answer is not zero. Here’s the biggest rub. Pink Himalayan salt actually doesn’t come from the high peaks of the Himalayas. It’s mined in an ancient underground dried sea bed in Punjab, Pakistan. Which, OK, it’s near the Himalayas, at its foothills, so the marketing teams can at least get points for creativity.